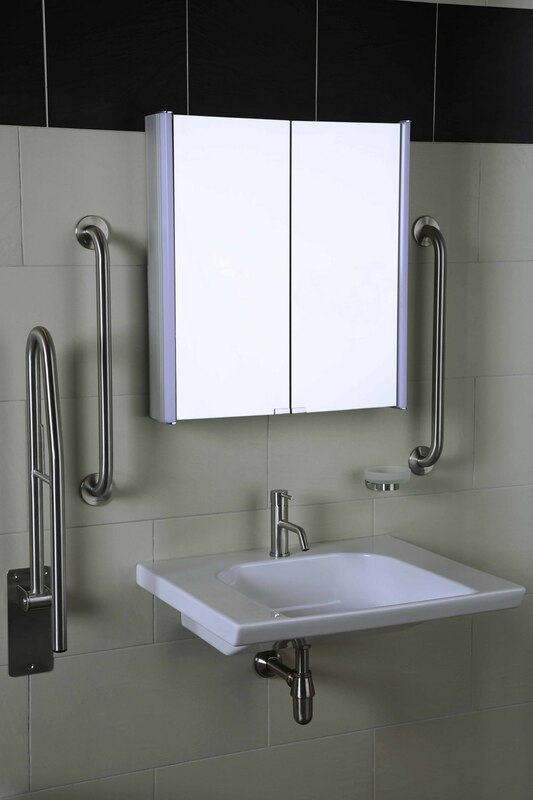 We believe a mobility bathroom can be stylish and modern without compromising on the functionality that is such an important aspect of its design. Your bathroom should reflect all of your tastes and preferences to create a relaxing, comfortable space, while incorporating whatever aspects are necessary to make it a practical space for you to use. The first step towards your new mobility bathroom is for us to sit down with you and have a chat to discover what your style preferences and practical needs are for your mobility bathroom. This conversation will also help us to discover who will be using the bathroom, what the age-range of the bathroom users is, and what specific special requirements we are tailoring the bathroom to. We encourage you to create an "ideabook" that features a number of examples of mobility bathrooms you have seen and like, you may find these in magazines or online. This will give us a starting point to establish what your style and colour preferences are as well as the overall look you are looking for, from the information we gather from this we will develop a design that incorporates all the elements you like. For perfectionists such as ourselves a mobility bathroom installation is a finely balanced process that we get right by working as efficiently as possible while maintaining quality of workmanship. Trust us, we don't want to be in your home any longer than you want us there. We aim to make the install process as quick as we possibly can, however, installs can take a little longer to complete as our designs and product selection are tailored to your requirements. We prefer to take the time required to install your bathroom with the care and workmanship it deserves to ensure a finish unrivalled by any competitor. Our installation team consist of trade-specific craftsmen who maintain their professionalism at all times, treating your home as if it was their own. Our teams have repeatedly been praised by our clients for their friendliness and their attitude to maintaining deadlines and fantastic standards of work. If you already have a fitting team in mind, we also provide a supply only service. Our bathroom design team can help you choose the perfect walk-in bath for your requirements, ensuring you can relax and unwind in comfort with complete ease. Modern walk-in baths come in a variety of shapes and sizes to fit into almost any space that a standard bath would, there is no need to worry if your bathroom is tight for space. Additional features for your walk-in bath include a chair if this would make you feel more comfortable in the bath, and you have the option of a bath door that swings inwards or outwards. Another feature that is popular is the addition of hydrotherapy or whirlpool features that makes for a relaxing and therapeutic bathing experience. Our selection of walk-in showers increase the space you have so you are no longer showering in a tight, cramped space. Our walk-in showers for mobility are fitted with a very low base tray or are complete flush to the floor to allow ease of entry and exit from the shower. We will tailor the space to suit your mobility requirements and find a style that suits your tastes, whether you prefer a modern or classic design. Your walk-in shower can be fitted with additional features to ensure ease of use, including a shower seat to allow you to shower in complete comfort. We can also fit handles to the walls of the shower for stability while standing in the slippery shower area. Whatever your mobility requirements are we are sure we can tailor the perfect bathroom space for you that is both functional and stylish.